Cast: Amandla Stenberg (Starr Carter), Regina Hall (Lisa Carter), Russell Hornsby (Maverick Carter), Common (Uncle Carlos Carter), Lamar Johnson (Seven Carter), TJ Wright (Sekani Carter), Issa Rae (April Ofrah), KJ Apa (Chris), Sabrina Carpenter (Hailey), Anthony Mackie (King). 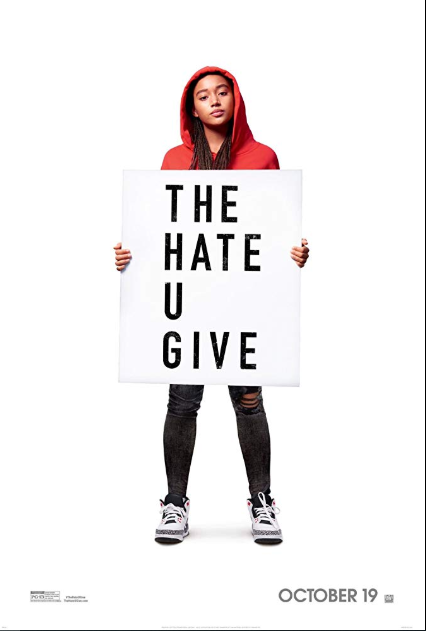 Story: Based on Angie Thomas’ novel of same name, the film stars Amandla Stenberg as a 16-year-old girl named Starr who grew up in a poverty-stricken area, but now attends a suburban prep school. After she witnesses a police officer shoot her unarmed best friend, she’s torn between her two very different worlds as she tries to speak her truth. Source: Variety. Photo Source: Shadow & Act. This entry was posted in Upcoming Films and tagged Amandla Stenberg, Common, Issa Rae, Regina Hall, Russell Hornsby by blackcinemaconnection. Bookmark the permalink.